Heat a large, heavy bottomed saute pan over medium heat. Add enough oil to coat the bottom of the pan and 1 tablespoon of butter. Once the oil is hot, add the onions and cook, stirring occasionally, until soft, translucent and starting to brown. Then add the mushrooms and a pinch of salt. Cook, stirring occasionally, until soft and most of the liquid has evaporated. Then stir in the garlic until fragrant. Sprinkle over the flour and stir constantly for at least 1 minute and up to 5 minutes. Don’t allow it to burn. Then deglaze the pan with the marsala wine. Scrape up the brown bits from the bottom of the pan and stir until the texture of the sauce is consistent. Increase the heat to bring the wine to a simmer. Reduce the heat as necessary to maintain a strong simmer for 3 to 5 minutes. Then add the stock, stir until well combined, and simmer until a desired consistency is achieved, keeping in mind that the sauce will thicken slightly as it cools. Taste test and add salt and pepper to taste. When the sauce is done, remove the pan from heat, gently stir in 1 tablespoon of cold butter until just melted, and toss in the parsley. 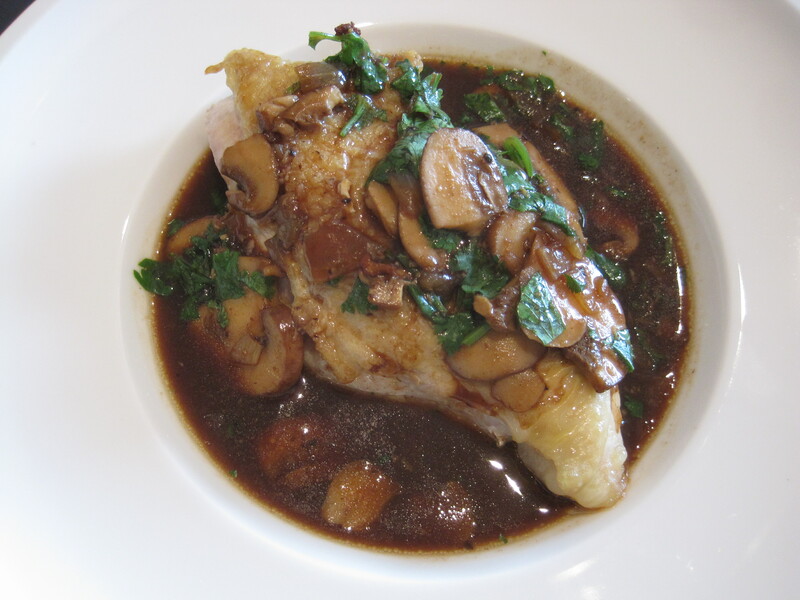 Pour the sauce and mushrooms over cooked chicken, pork, or steak, garnish with additional parsley if desired, and serve immediately with side(s) of your choice (e.g. salad, rice, and/or vegetables). This sauce freezes well.